The safari is led by an experienced guide who will share inside-story facts about your surroundings - easily rousing your inner wild side. 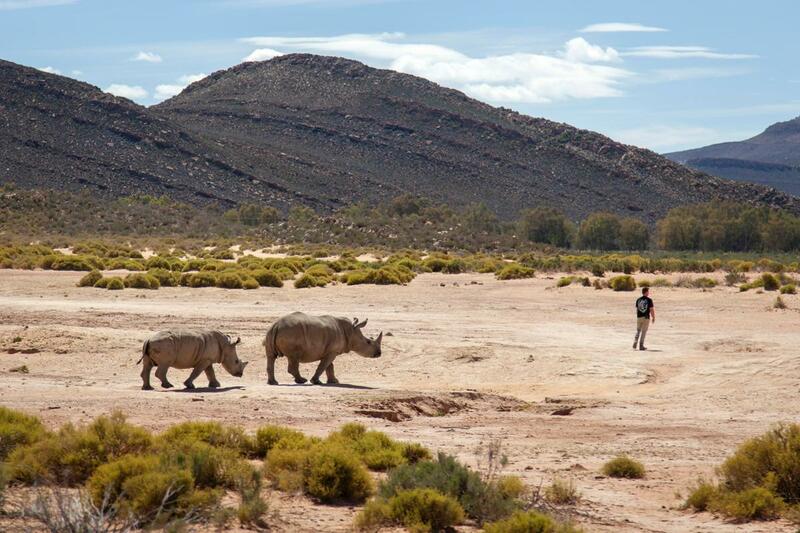 Our Cape Town safari trip has been rated by Sawubona magazine as one of the Top 10 best day-trip destinations. 09:00 - Welcome drinks at Aquila 09:00-10:00 - Buffet Breakfast 10:15 - 2 to 3 hour game drive and visit to ARC. 12:45 - 3 hour and 45 minute buffet lunch. 13:45 - Time at leisure. 15:30 - Depart for Cape Town. Drop off back at hotel or guesthouse in CBD area only. The Cape Town safari day tour includes: * Welcome drinks on arrival. * Full buffet breakfast on arrival. * 2-3 hour game drive. * Full buffet lunch. * Cool off dips at one of two swimming pools. * All safaris are in an open 4 x 4 safari vehicle.